Last week was my birthday, and I really enjoyed various birthday wishes I received from my Facebook Friends. Even if 75% of them consisted of two words (which were “birthday” and “happy”), those 15 seconds of effort are still nice to read. Before Facebook, when did the guy in your 10th grade Geometry class remember your birthday? I decided to personally respond to each wish, which took longer than I anticipated. I’ve noticed in recent months a lot of status updates like this on people’s birthday: “Thanks everyone for your birthday wishes!” One status update like that takes care of dozens of birthday wishes. It’s so appropriate that on one day of the year an average person can feel like a celebrity. On our birthday, we can be so overwhelmed by birthday wishes, that we can issue a Face Book “press release” through our status update to appease all our fans. It’s like an added gift on our birth day. For one day we are a celebrity. 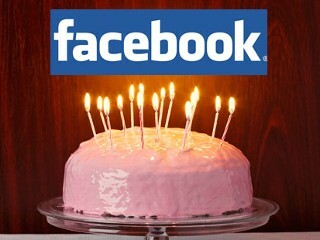 So on your next birthday, don’t take for granted this new phenomena of social networking. It may by our only chance at celebrity each year – the Facebook birthday wish! On this Memorial Day, we are on Day #23 of The Next Level book. – “The Confusion Test” was a sobering reminder of the story of Job. Like Job, we can be confused when the circumstances of life are negative. Yet, the story is never over for those of us who are believers. 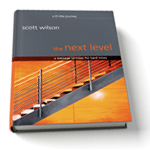 Scott Wilson wrote, “The story of Job is the grad school of testing . . . .When we experience confusion, we enroll in the grad school of testing (p. 144, 148).” Day #21 reminds us that if you’re confused, God hasn’t forgotten you! – “The Yes Test” was the sermon my wife Beth preached about on Mother’s Day. She gave an excellent sermon on Day #22, that you can listen to at the CIL pod cast for May 9, 2010. To access CIL sermons, click here. – “The Out-of-the-Box Test” is the day #23 focus. There are several examples in the Bible of how Peter operated outside of this tradition and experience. If we are going to completely follow God, there are times we will be tested in this way also. I pray you and I both are ready for anything God calls us to do. Earlier this year I spoke a message series on Wednesday nights our of Nehemiah called “Turning Vision Into Action” Preparing for that series made me appreciate the book of Nehemiah in a deeper way. Nehemiah is a great story of perseverance. This is a quality that is greatly missing in most of this generation. Like Nehemiah, we must remember that accomplishing great things from God happens little by little, stone upon stone, brick up brick (just like Nehemiah’s wall). To watch Scott’s video blog on Day #20 click here. When we are true to our identity, it may cost us in the short-term. Bishop Clay Evans of Chicago suffered the consequences of having Martin Luther King, Jr. speak at his church (p. 134-135). Though it was tough for the seven years the city of Chicago didn’t release permits for their construction project, I am sure that Bishop Evans and his congregation enjoyed their building more knowing they didn’t compromise. “The identity test often comes in unexpected moments (p. 135).” Stay true to your identity today! To watch Scotts video blog on Day #19, click here. I’ve always loved the story of Shadrach, Meshach and Abednego in Daniel Chapter 3. These three were completely loyal to God, despite the consequences. Those of us in the United States do not face death for worshipping Jesus. However, we have plenty of chances to show our loyalty, just like these three young men did. “For the three friends, the cost stared them in the face: death in the furnace. To us, the cost usually is subtle: inconvenience, a word of sarcasm from our friends who don’t understand, or being passed over because we’re “too weird” or “too religious (p.129).” Of all the places we can direct our loyalty, let’s make sure to direct it to the King of Kings, our Jesus. To watch Scott’s video blog on Day #18, click here. “How many times does God ask us to do things that we may consider “beneath” us (p.123)?” Whenever we feel “too good” to do a job, we may have let pride establish a home in our hearts. I think that efficiency is important. As a senior pastor, I ask the question to myself often, “What can I do today for the church that no one else can?” This question helps me prioritize my schedule for message preparation and vision casting. However, thia does not mean I am too good to do a common task. In fact, I think it is healthy for leaders to roll up their sleeves on a regular basis, I participate in the manual tasks that often are taken for granted. That is why I loved the story of the bank president who spends time each week with the custodians or in the mail room (p.125). The humility test is one we need to pass on a daily basis to truly follow Christ’s example. Watch Scott Wilson’s video blog on Day #17 by clicking here. Today’s writing is my favorite chapter so far. Scott is very practical and honest in writing about loneliness – an emotion we all battle with from one degree to another. 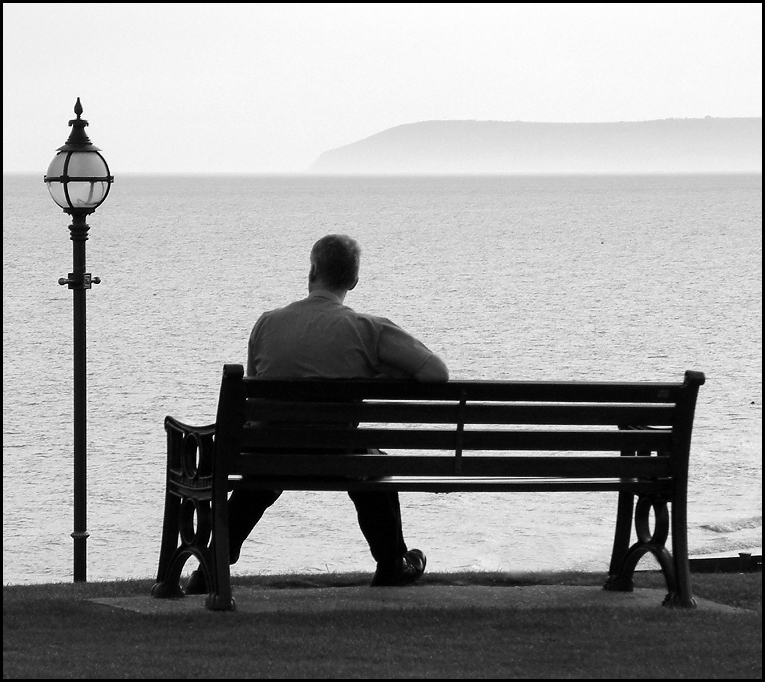 This quote really spoke to me: “One of the most important principals of facing the loneliness test is this: When we feel lonely, we need to carve out time to be alone with God (p. 118).” Getting alone with God is what we need to do when we’re lonely, but it’s often what we least feel like doing. Watch Scott Wilson’s video blog on Day 16 by clicking here.